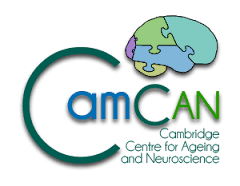 I am a Programme Leader in the Hearing and Language Group at the MRC Cognition and Brain Sciences Unit, Cambridge, U.K. The goal of my research is to understand what is going on in your brain right now – whilst you are understanding language. My colleagues and I run behavioural experiments and use brain imaging (fMRI, MEG/EEG) to study what brain processes are involved in processing spoken and written language, how we perceive speech sounds, recognise words and access meaning. If you're not convinced that studying speech is interesting, have a listen to this. This is an example of perceptual pop-out that we've explored using vocoded speech, and sine-wave speech. You can view a full list of publications here. Perceptual learning of degraded speech by minimising prediction error. How the brain uses predictive coding to recognise and learn words. You can read more about what changes in your brain when you learn new words. You can also listen to some example stimuli from our experiments on speech intelligibility, vocoded speech, and sine-wave speech. You can read about research using brain imaging to detect speech comprehension and awareness during sedation and in vegetative state patients. Jonathan Peelle, Department of Otolaryngology, Washington University in St. Louis, MI, USA. DMDX: Windows software for controlling behavioural and brain-imaging experiments. There's an old tutorial here and example files here. Praat: Windows/Linux/Mac software for manipulating, and displaying speech. Tell your friends! If you'd like to have a go at making making vocoded speech, or sine-wave speech I would recommend using scripts written by Chris Darwin that you can download from here. If you want a hand replicating methods used in my papers let me know. Straight: High-quality software for speech manipulation developed by Hideki Kawahara. SPM: Sofware for MRI/EEG/MEG analysis. Mix: Written by Maarten van Casteren this automates the process of generating unique, controlled pseudo-random item sequences for behavioural and functional imaging experiments. You can read our paper here, or download the software. Match: Written by Maarten van Casteren this automates the process of generating sets of items or participants matched on multiple variables. You can read our paper here, or download the software. Aoccdrnig to a rscheearch at Cmabrigde Uinervtisy, it deosn't mttaer in waht oredr the ltteers in a wrod are, the olny iprmoetnt tihng is taht the frist and lsat ltteer be at the rghit pclae. The rset can be a toatl mses and you can sitll raed it wouthit porbelm. Tihs is bcuseae the huamn mnid deos not raed ervey lteter by istlef, but the wrod as a wlohe. Here's an old page that I wrote on can learn about the problems of reading jumbled texts.